It may be a few months away, but this summer is already shaping up to be an excellent one -- at least if you're in Phoenix, Kansas City, or Minneapolis. Chipotle will be bringing the 2015 Cultivate festivals to those three cities, promising plenty of live music and free burritos to their fair citizens. 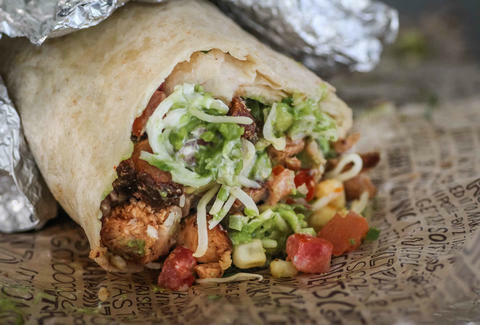 Chipotle has been running Cultivate for five years now. The festival series offers tons of free events, all aimed at getting people to talk about food in a blissful environment. This year, they've got three stops on the docket. First up is Cultivate Phoenix, which'll be held on April 18th (okay, technically this one is in the spring), at WestWorld in Scottsdale. Cultivate Kansas City will follow on July 18th in Penn Valley Park, and Cultivate Minneapolis will wrap things up on August 22nd in Loring Park. Though the lineup is still preliminary, Chipotle is promising names like Andrew Zimmern and Walk the Moon at each fest, along with six "Cultivate Experiences." These so-called experiences include a short-film series and guac demonstration -- and if you attend four of them, you're entitled to free food. Considering admission to all events is free, you've got nothing to lose by attending Cultivate. But you may have a comped carnitas burrito to gain. Kristin Hunt is a Food/Drink staff writer for Thrillist, and might have to visit Minneapolis this summer. Follow her at @kristin_hunt.